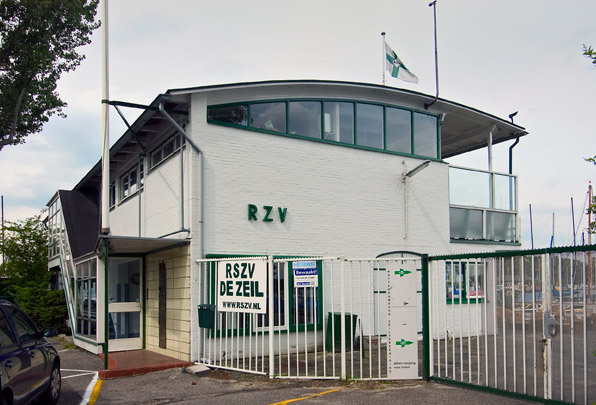 The entire upper level of this clubhouse for a Rotterdam boating society is given over to the club room and bar by locating all utility spaces on the ground floor. A roomy balcony and large areas of glass offer a generous view across the lake (Kralingse Plas). The roof, held clear of the walls where possible, rests on curved rafters constructed of wooden floorboards fixed together with aeroplane glue.